MODEL: BMW X5. YEAR: 2007. Another good source is RealOEM - you can check by Part Number or VIN. Local Pickup is Available in Alpharetta, GA 30004. 2012 BMW X5 E70 LCI xDrive50i. Rear Bumper Parking Sensor PDC Park Assist Wiring Harness Cable. We recycle OEM parts. FRONT BUMPER COVER, NO GRILLES ARE INCLUDED. NO HARDWARE BOLTS OR NUT ARE INCLUDED. 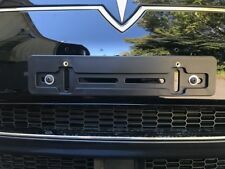 You are viewing a2014-2017 BMW X5, F15 Front Bumper Assembly; 805727617. This Front Bumper Assembly Will Fit All Of Your 2014,2015,2016& 2017 BMW X5, F15 ;. This is OEM BMW ;. This Front Bumper Assembly Has The Following;. You are viewing a2014-2018 BMW X5 X Drive Front Bumper Assembly; 735063307. This Front Bumper Assembly Will Fit All Of Your 2014,2015,2016,2017 & 2018 BMW X5 X Drive ;. This is OEM BMW ;. (4) F ront parking sensors. You are viewing a2014-2017 BMW X5, F15 Front Bumper Assembly; 805676817. This Front Bumper Assembly Will Fit All Of Your 2014,2015,2016& 2017 BMW X5, F15 ;. This is OEM BMW ;. This Front Bumper Assembly Has The Following;. FRONT BUMPER COVER. VIEW ALL PICTURES BEFORE BUYING. SCRATCHES THROUGHOUT. 4 BOLTS+2 SCREWS ARE INCLUDED-OTHERS SELL ONLY BRACKET! 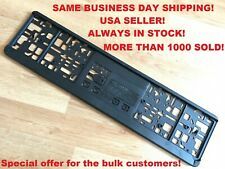 //////////// NEW AND USED PARTS OEM BMW //////////// BMW CHICAGO ///////////. What you see in the photos is what you will get. From 2006 BMW X5. B condition. Complete bumper assembly. Trending at $32.90eBay determines this price through a machine learned model of the product's sale prices within the last 90 days. You are viewing a2014-2017 BMW X5, F15 Front Bumper Assembly; 805676816. This Front Bumper Assembly Will Fit All Of Your 2014,2015,2016& 2017 BMW X5, F15 ;. This is OEM BMW ;. This Front Bumper Assembly Has The Following;. 2011 2012 2013 BMW X5 rear bumper cover. only what is in the pictures is included. You are viewing a2014-2017 BMW X5, F15 Front Bumper Assembly ; 46012341. This Front Bumper Assembly Will Fit All Of Your 2014,2015,2016& 2017 BMW X5, F15 ;. This is OEM BMW ;. This Front Bumper Assembly Has The Following;. 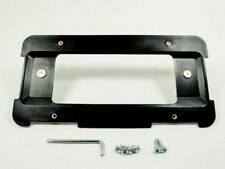 **Full complete set**rear bumper cover mount pulled off of a 2012 bmw x5 50i. no cracks, excellent shape. FULL SET OF SCREWS INCLUDED - OTHERS ONLY SELL BRACKET! The Bumper is in good condition, all tabs are intact! But it does have dents and 2 cuts, circled in blue ink. OEM AUTO BODY PARTS. This Front Bumper Assembly Will Fit All Of Your 2014,2015,2016 & 2017 BMW X5 ;. You are viewing a2014-2017 BMW X5 Front Bumper Assembly; 737251207. This is OEM BMW ;. This Front Bumper Assembly Has The Following;. You are viewing a2014-2017 BMW X5 Front Bumper Assembly; 735064006. This Front Bumper Assembly Will Fit All Of Your 2014,2015,2016 & 2017 BMW X5 ;. This is OEM BMW ;. This Front Bumper Assembly Has The Following;. You are viewing a2014-2018 BMW X5 X Drive Front Bumper Assembly; 735064007. This Front Bumper Assembly Will Fit All Of Your 2014,2015,2016,2017 & 2018 BMW X5 X Drive ;. This is OEM BMW ;. (4) F ront parking sensors. BMW X Series (E53,E70,E71,E83) X5 3.0i 1999, 2000, 2001, 2002, 2003, 2004, 2005, 2006, 2007. BMW 3 Series (E21,E30,E36,E46,E90,E91,E92,E93) 320i Sedan 2000, 2001, 2002, 2003, 2004, 2005. BMW 3 Series (E21,E30,E36,E46,E90,E91,E92,E93) 323Ci Convertible 1999, 2000, 2001. 2014 2015 2016 BMW X5 rear bumper cover, only what you see in the pictures is included. You are viewing a2014-2017 BMW X5 Front Bumper Assembly; 735063406. This Front Bumper Assembly Will Fit All Of Your 2014,2015,2016 & 2017 BMW X5 ;. This is OEM BMW ;. Washer Left Side & Right Side. 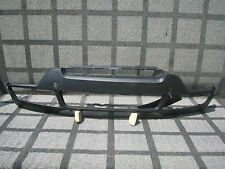 This Front Bumper Assembly Has The Following;.